The current Lexus LC lineup consists of two vehicles, the LC 500 and LC 500h. Both come equipped with the same naturally-aspirated 5.0 V8 engine rated at 471 hp (351 kW) and 539 Nm (398 lbft) of torque. Now it seems like the luxury carmaker will be releasing a better, faster LC before the end of the year. 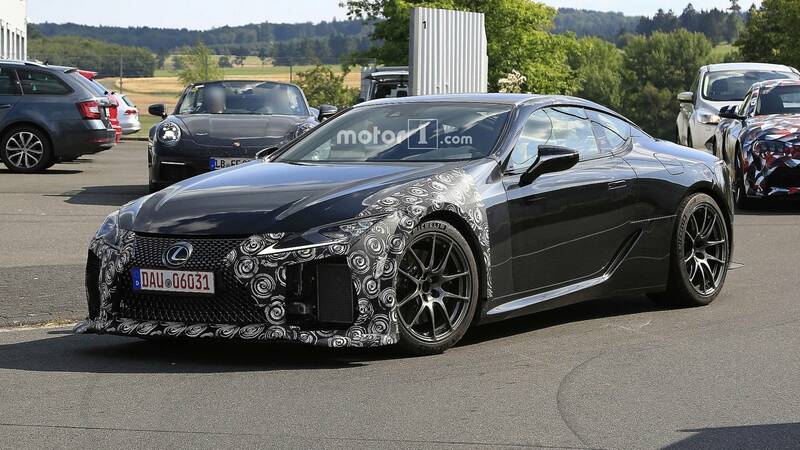 A little while ago, one of the top managers of the marque hinted that “something big” was going to enter the Lexus LC family before 2019 ends. If the rumors are correct, this includes an LC Convertible, as well as a “fully loaded” LC F. In fact, we have already seen several spy photos of the latter in car news media. Nothing is known about the alleged LC F and its engine specs, but a couple guesses seem reasonable. First, the sports car may end up with the same 5.0-liter V8 as the regular series, but turbocharged to deliver around 600 hp (447 kW). Second, it might get the 4.0-liter twin-turbo V8 that is currently in development. Lastly, it might end up with a hybrid powertrain based on that V8. We will not learn the truth until the premiere, of course.